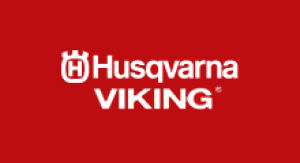 PFAFF and Husqvarna Viking machines have been proud makers of sewing machines since 1872. Both sides of the house are sure to excite you with the new and wonderful things these machines are capable of doing. From PFAFF's exclusive IDT system to Husqvarna Viking's exclusive sewing adviser, there is so much to love about these machines. So feel free to go through each category in the drop down menu, and find the one that is right for you! We ONLY sell machines in the store. So once you have found the one that is likely to make all your dreams come true, come on in and see us!